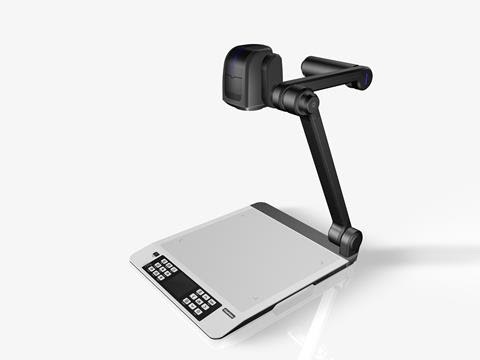 The Genee Vision 8100 is a powerful portable visual presentation and training tool. It can be used stand alone with a Projector or when linked to a PC you are able to record, capture etc. It's powerful zoom function, 22x optical and 10x digital allows users to view text documents and 3D objects in detail saving time and money. It has a video capture facility and is fully interoperable with all Interactive Whiteboards. Incorporating Genee advanced technologies; the newest budget addition to the Genee Visualiser range offers the ultimate portable solution. The visualiser is easy to carry with a weight of just 0.9 kg and still packs powerful features such as a 5 million pixel resolution camera, LED light and advanced Genee Vision software. 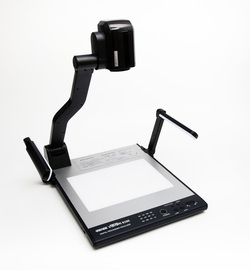 This product is the wireless version of the Lumens PC120 Digital Visual Presenter. 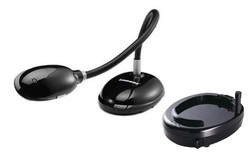 This version uses both the PC120 Digital Visual Presenter and the Lumens DC-A11 Wireless Station to create an all-in-one wireless version of the PC120 visualiser. This means that you can use this product freely and easily and be able to move around the room and even to other rooms with no problems. With its lightweight and ultra-portable design, the PC-120 is the ideal kit for use in any classroom. 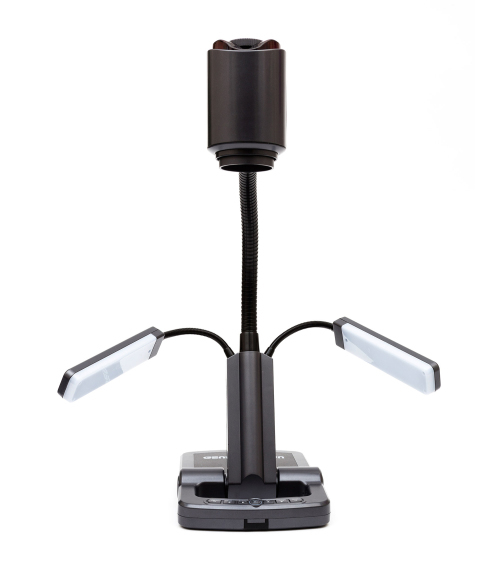 This lightweight UXGA unit includes a 10 foot (3.3m) cable to reach the centre of the classroom. Powered by USB, all you need to do is connect your PC120 to your computer with a USB cable and away you go! No need for power supplies or VGA cabling. This Lumens PC120 Visualiser comes with FREE Ladibug™ Software. Ladibug™ is a full screen still image, video and audio capture software, which is compatible with Windows 7, Vista, XP and Mac OSX 10 or above operating systems. Ladibug™ Software - Download and install Software & Drivers from Lumens website: click here. "This has revolutionised my teaching practice"
Using the visualiser has not only dramatically improved the teaching environment, Simon is also seeing an increase in student engagement, therefore improved results, at all levels. Using the visualiser to record lessons also has the added benefit of assisting with Ofsted appraisals. 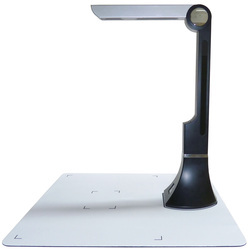 The Lumens™ DC125 high-definition document camera is operated with only one USB cable connected to a computer, this extremely simple connection is enough to enable interactive presentations. The DC125 has a professional image sensor that delivers vivid colors at high-definition QXGA and Full HD 1080p output resolutions with 30 frames per second refresh rate. 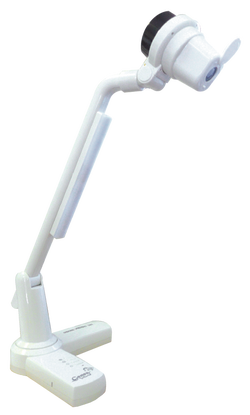 The highly flexible gooseneck enables 360° viewing angle and object viewing from just 4 cm to observe an objects finer detail. Press one button to get the perfect image quality every time. Exclusive annotation over a live image for the best interaction, and one-touch video recording to record presentations saved in variety image formats on computer for playback as required. The stylish light weight design makes it easy to carry the DC125 anywhere quickly for creative presentations. With its lightweight and ultra-portable design, the DC-125 is the ideal kit for use in any classroom. Powered by USB, all you need to do is connect your DC125 to your computer with a USB cable and away you go! No need for power supplies or VGA cabling. 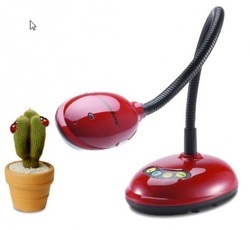 This Lumens DC125 Visualiser comes with FREE Ladibug™ Software. Ladibug™ is a full screen still image, video and audio capture software, which is compatible with Windows 7, Vista, XP and Mac OSX 10 or above operating systems. The Genee Vision 150 visualiser is our mid range visualiser, for those on a tight budget that don't want to compromise on essential features. The Genee Vision 150 visualiser offers a 5 year guarantee (on registration) and is supported by our customer and support service giving you the assurance that purchasing a Genee Visualiser is the best solution for your needs. A visualiser is a digital ICT presentation and teaching resource that directly connects to a PC, projector or LCD screen. It is the most flexible presentation tool in recent times. It can pick-up any kind of material whether it be photographs, books or 3D objects quickly and provides a high resolution output signal. You can now share work with the whole class, split and zoom, negative to positive, capture live demonstrations and take pictures and videos to share on your virtual learning environment (VLE). 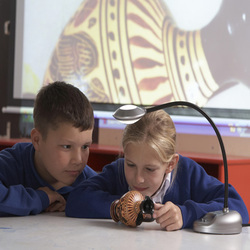 Why use a visualiser in the classroom? • Use to display delicate objects that would not survive being passed around the class.